Dedicated to finding Vawter, Vauter, and Vaughters. If anyone has a picture they would like to post here, they are welcome to send it in. 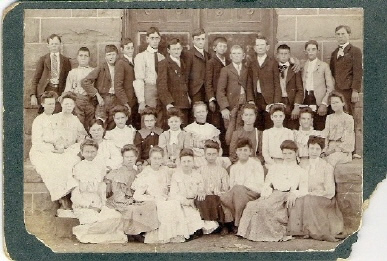 Helen Dart Johnson sent this picture of an old school that her mother, Mina Vawter attended in Texas. She was born in Nacogdoches, the daughter of Robert Newton Vawter, son of Lorenzo Dow Vawter.The school could be in Nacogdoches, Abilene, or Pecos. It had a red brick front; later was turned into a Baptist Church. If anyone can identify it, please let us know. 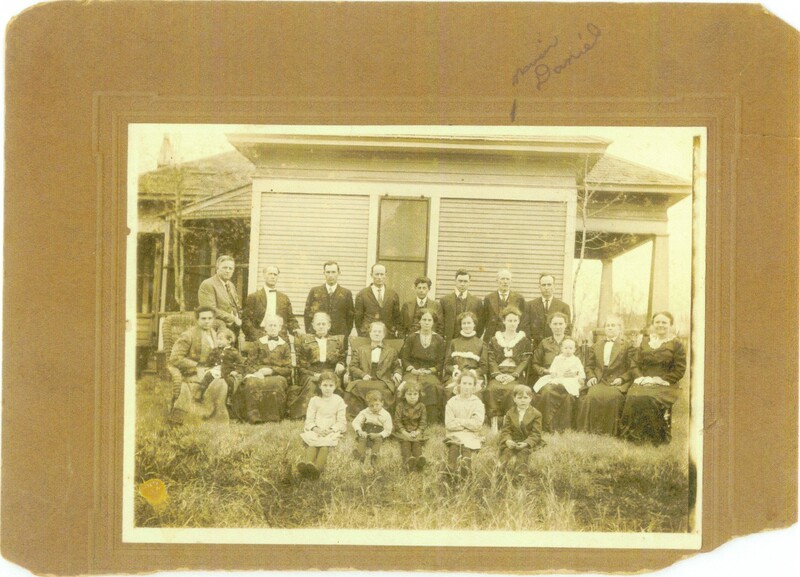 This photo (sent to Georgene) has the name VAWTER penciled on the back. The only one any of us knows in this photo is Marion Daniel (male). There is another photo with this one titled Marion Daniel and his sisters. 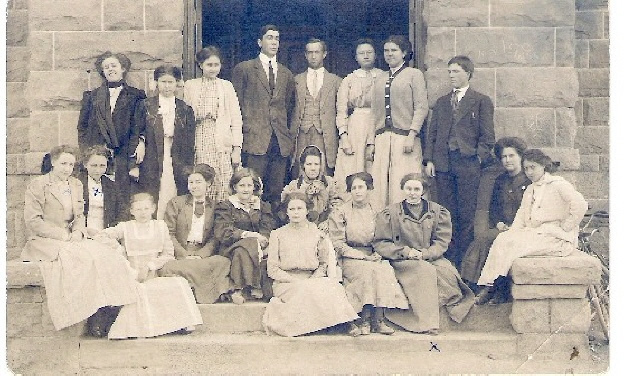 It is thought that this photo is of one of his sister's family gatherings....possibly Martha. Does this match up with anything you have??? Do you know who any of these folks are? Anything you could shed light on would be greatly appreciated.